The most popular epic of Western culture springs to life in Allen Mandelbaum's magnificent translation. 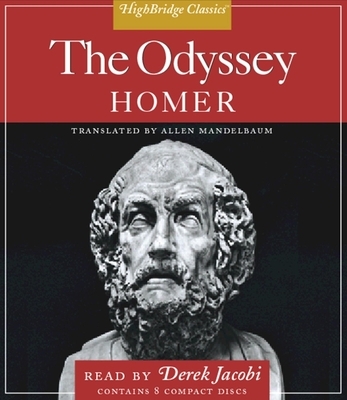 Homer's masterpiece tells the story of Odysseus, the ideal Greek hero, as he travels home to Ithaca after the Trojan War—a journey of ten years and countless thrilling adventures. Rich in Greek folklore and myth, featuring gods and goddesses, monsters and sorceresses, The Odyssey has enchanted listeners around the world for thousands of years. Mandelbaum's robust, romantic, lyrical translation has an openness and immediacy unsurpassed by any other. Read aloud, it is a wonderful way to experience this enduring classic.